An award-winning audio drama based on true and little-known history of Jewish women’s lives in 18th Century Europe. Featuring Tovah Feldshuh, Simon Jones, Neil Gaiman, Barbara Rosenblat, and a cast of New York City’s finest Broadway and audio talent! The Witches of Lublin was commissioned by the Michigan Festival of Sacred Music, and had its workshop premiere there in 2007. Through the generosity of the New York theater community, two more workshop readings were held, revisions made, and a final script completed. When Director/Producer Sue Zizza joined the team, the audio drama was cast, and then recorded at the studios of Hofstra University on Long Island. 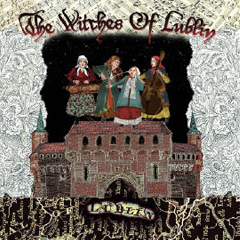 The Witches of Lublin premiered on radio stations nationwide in April 2011, and is also available as a CD and Audiobook. 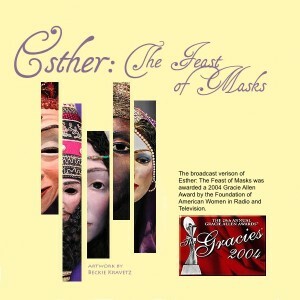 In her one-woman dramatic show of multicultural monologues, Ellen takes on the roles of five different modern characters, each one illuminating a different aspect of the story of the biblical Queen Esther, all built around the issues of hiding and revealing one’s true identity in the face of oppression in modern society. She is joined by a powerful and versatile vocalist and two other musicians, playing fiddle and piano, guitar, mbira and accordion. Songs range from African chant and Hebrew folk tunes to ’50s pop and blues. The music augments and comments on the action of the stories. 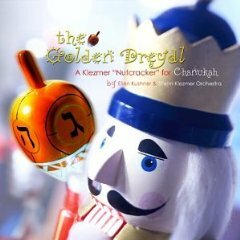 Ellen narrates her original story of a young girl’s magical Chanukah adventures, accompanied by the 6-piece Shirim Klezmer Orchestra, playing their unique original adaptation of Tchaikovsky’s holiday Nutcracker Suite in this award-winning family entertainment. The story is about 45 minutes long. The performance usually includes 20 extra minutes of the band playing a lively assortment of klezmer tunes. This program is especially recommended for children ages 5–12 and their families. It is also available on CD from Rykodisc. Ellen and the band are always happy to sign albums and chat with audiences after the show. The fully-narrated stage show is also available with a scaled-down band of 3 players. Bookings for the live music version of The Golden Dreydl with Shirim Klezmer Orchestra are handled by Eric Rosenthal of Shirim.